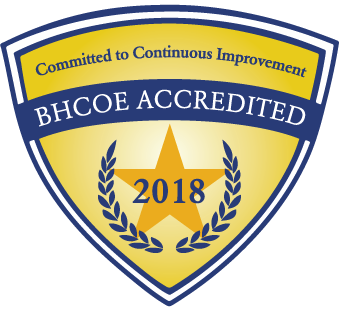 "It gives our family hope for the future"
From early on, creating a new standard for clinical care was a passion of our founders Jason Shaw and Becki Fulcher. They wanted a place where patients of all ages and need, along with their families could come to seek exceptional outcomes, all while adding to the meaning of what an ABA clinic should be. In its beginning years, the clinics started with a small group of therapists, offering intervention in a few small locations, and for a brief time, in the community only. But thanks to their dedication to their science, passion for their mission, focus on convenient on-site amenities and generalization experiences, and an ever-increasing number of passionate caregivers, Child’s Play Autism Centers has grown beyond our wildest imagination. And we are just getting started. 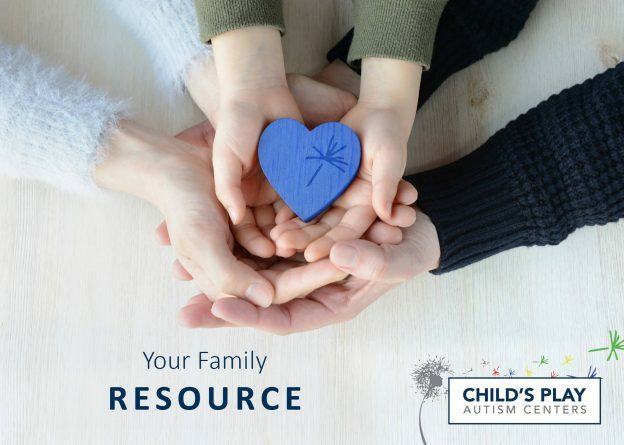 When you arrive at Child’s Play today, you’ll find the finest clinical staff and their support teams intervening on everything from early learning, problem behavior reduction and replacement (including severe aggression and self-harm) and family education; not to mention social programs, diagnostics, and family support counseling. From our dream of a clinical experience beyond the norm it’s blossomed into, Child’s Play Autism Centers continues to inspire our commitment to clinical excellence, growth, and community support. 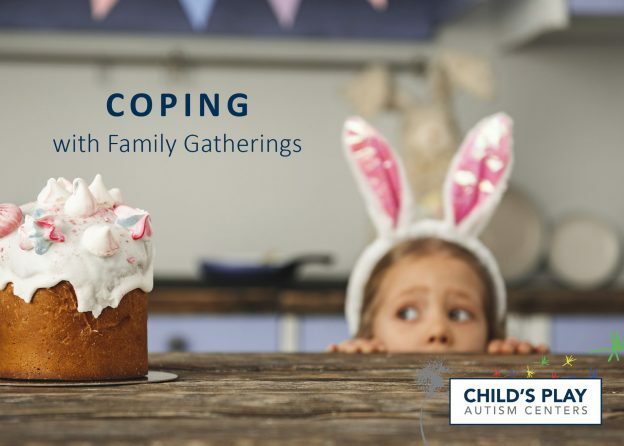 Easter celebrations, or any holiday gathering, can be overwhelming for your child. Changes in routine, different food, decorations and extra people around can be too much all at once. It’s a good idea to talk about what is coming so they know what to expect. On the day of it may help to bring familiar food and have a quiet space for them if they feel overwhelmed. Rainy days can be a good thing! 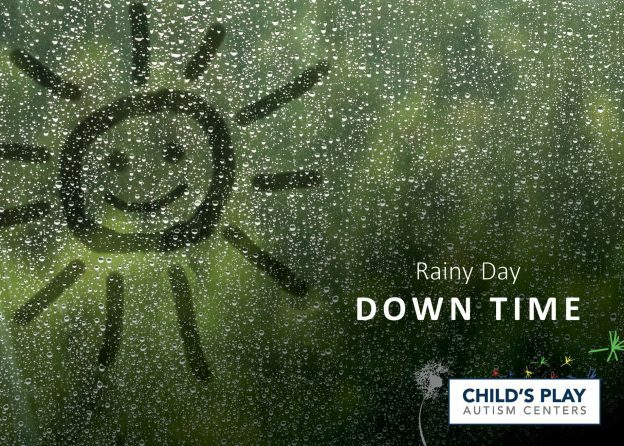 Even if you feel like you and your child are stuck in the house, maybe it’s a good time for some down time. Taking a break from a structured day can actually help your child retain what they learned! Our brains are amazing and use periods of rest or unstructured play to grow and make new connections. 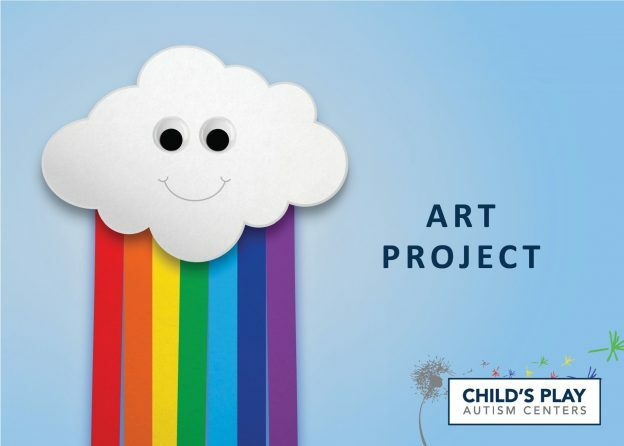 A fun and colorful art project to try! What you’ll need is some construction paper in white and colors of the rainbow, scissors, glue, a marker and googely eyes. Cut out the cloud shape and strips of the colored paper. Glue the rainbow pieces to the back of the cloud. Glue on the eyes. Draw a mouth. You’re done! Hang it up where your child can admire their work – it builds self esteem! I feel incredibly blessed by my child’s support team. I pinch myself everyday when I think about how lucky we are to have found Child’s Play. My child is loved, supported, and encouraged every step of the way, and it shows–he is thriving!